Despite no star value in the cast, The Accidental Prime Minister is expected to do decent business on account of the controversy surrounding it. The Accidental Prime Minister opened in theatres on a decent note on the back of the hype going around it. The film is based on the biopic of former Prime Minister Manmohan Singh by the same name written by Sanjay Baru. 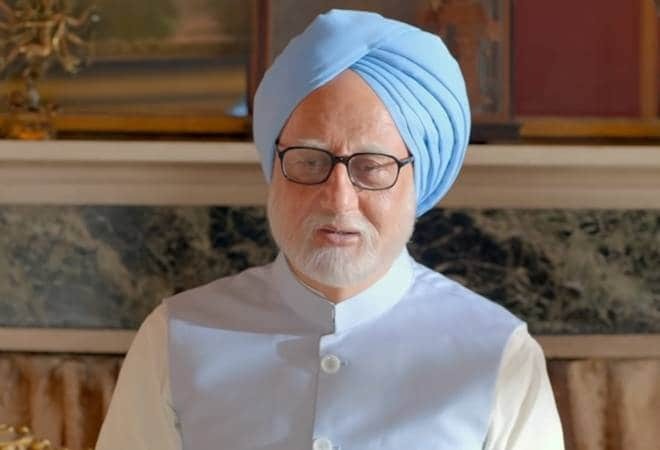 Anupam Kher plays the role of Manmohan Singh and Akshay Khanna the role of Sanjaya Baru, Singh's media advisor. The Accidental Prime Minister had a decent 15-20 per cent start, according to a report by the Box Office India. The film saw 30-40 per cent less occupancy than Uri as the latter has more screens to its account, the report said. Despite no star value in the cast, The Accidental Prime Minister is expected to do decent business on account of the controversy surrounding it. Released just before the country goes into one of the most important polls, the political drama has attracted attention even from political corridors for its attack on the Congress party and the Gandhi family. The film might generate enough interest in the politically charged climate to post decent box office collection, but it will have to face competition from Uri and Petta, which were released along with it Friday. Uri is the retelling of the surgical strikes by Indian armed forces on Pakistani soil, whereas Petta is features Rajinikanth in all his glory, recreating the style of Thalaivar from his 80s and 90s era films. It will also face tough competition from Ranbir Singh-starrer Simmba which has already crossed the Rs 200-crore mark and is still going strong in its second week. The Accidental Prime Minister did gain much ground with overseas audience, though. It was released a day earlier than India. In New Zealand was released on six screens where it earned only $1,266, whereas in Australia it was released on eight screens and earned $4,836. ALSO READ:The Accidental Prime Minister Box Office Prediction: Can Anupam Kher's movie survive clash with 3 big releases? "At parts it appears as if the makers want to project Dr Singh as an honest, idealistic person, who became a scapegoat of the Gandhi family and in other times it appears as if the makers want to put across that the former prime minister was an ineffective leader. The only constant in The Accidental Prime Minister is the utter, complete disdain for the Gandhi family," writes Anwesha Madhukalya in her review for BusinessToday.In.